Eximware’s premier commodity management platform was created as a specialized trading and risk management platform for all aspects of trading within the agricultural supply chain. 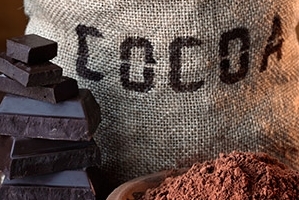 Our strength and knowledge of the cocoa industry is derived from the founders of the company, whom were active participants in the coffee and cocoa business. 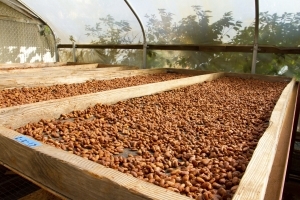 Partner XM for Cocoa handles procurement, processing, conversions and management of all cocoa trading related activities. Whether trading cocoa beans, butter, liquor, nibs or semi-finished products Eximware commodity management solutions were designed to increase efficiency, transparency and promote successful more profitable trading. Eximware stands behind its products and takes great pride in delivering industry leading solutions and unparalleled account management and customer service. 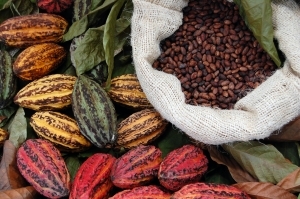 The Eximware Partner XM Commodity Management Suite for Cocoa is the preferred commodity management platform for centrally managing and monitoring trade activity regardless throughout all stages of the cocoa commodity supply chain. As a leading provider of scalable import, export and processing solutions for the cocoa industry, Eximware delivers software that meets the exacting needs of large multi-national clients as well as mid-sized and specialty cocoa growers. Partner XM for Exporters and Millers allows users to centrally manage the physical and financial movements of cocoa (cacao) supply throughout the end-to-end commodity supply chain. Partner XM for Importers and Traders empowers users to monitor and manage overall consolidated position in real-time with all transactional data available 24 hours a day 7 days a week. Partner XM for Importers and Traders permits each department – trading, logistics, quality control, sales – to work independently while it maintains total position analytics to promote adequate hedging and coverage. Eximware Partner XM for Processors- cloud-based commodity trading and risk management- centrally automates contract creation while promoting smart data driven decision making. XM Marketplace, web-hosted e-commerce platform, centrally manages the procurement of cocoa beans at the desired grade, origin and bean type for the best price from vetted suppliers. A cloud based e-commerce platform for managing the procurement and planning of cocoa beans and products. The online web-hosted platform acts as a central hub of bid related activity and messaging while maintaining a robust trade blotter. The Eximware e-Marketplace Platform allows sourcing groups to canvass their pre-approved counterparties in an efficient standardized manner rather than relying on email, instant messaging or other unstructured mechanisms. Clients are able to post requests for product electronically and review the responses from their authorized suppliers. Suppliers are notified via sms/email alerts to the request and are able to respond quickly with their offers. XM eMarketplace has effectively automated communications and activities related to the sourcing and procurement. We now get the grade, origin and bean type of green coffee that we need at the lowest available price. We have also recognized additional savings through operational cost reductions thanks to the platform. The Eximware Partner XM platform has helped our organization streamline trade related activities and improve our management of complex transactions allowing us to centrally monitor and minimize risk. Eximware Partner XM and the entire account management and services team have been essential in fostering the growth of our business. I have never dealt with a more supportive organization and they truly feel like an extension of my own small business.